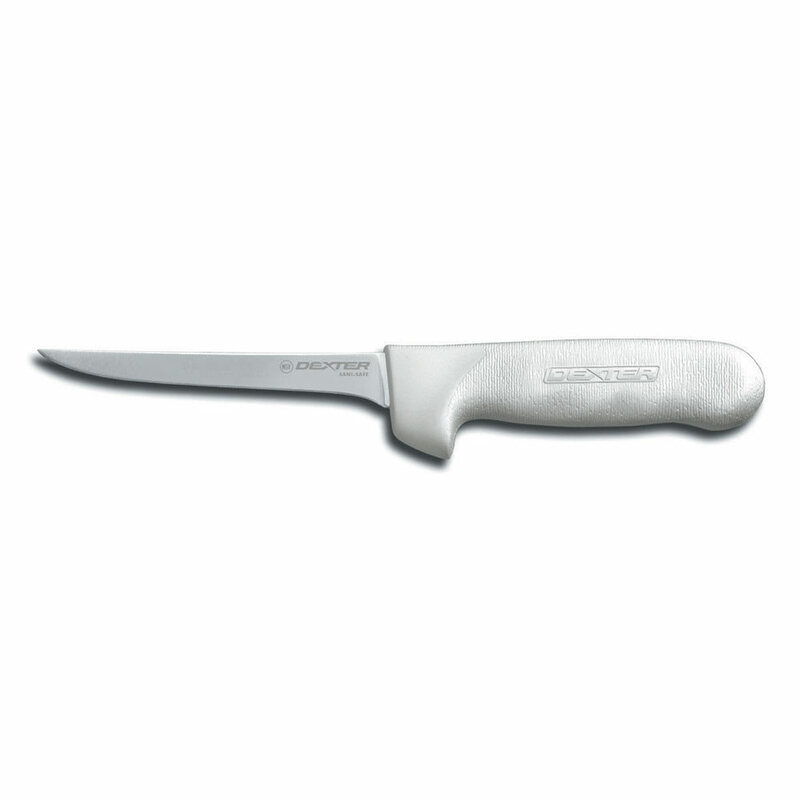 The Dexter S135F-PCP Sani-Safe® boning knife will not easily slide out of the user's hand thanks to its textured handle, which is made of white polypropylene that can withstand hot and cold temperatures. Food particles and liquids cannot get stuck between the handle and blade thanks to a protective seal, which eliminates a potential bacterial harbor. 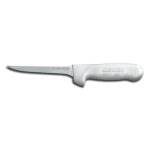 The Dexter S135F-PCP Sani-Safe boning knife is designed with a flexible blade made from high-carbon DEXSTEEL™, which provides corrosion resistance and hardness that can provide a long-lasting, super-sharp edge. "I purchased this exact knife many years ago for my kitchen, however earlier this year due to my stupidity, I bent the blade. I continued using it..."
"I purchased this exact knife many years ago for my kitchen, however earlier this year due to my stupidity, I bent the blade. I continued using it simply because of its sharpness and great quality. So looking for a replacement, I searched the web and found the exact thing. I'll be careful from now on!!! Thanks for being around so I could find my duplicate!!!"